Our Michigan surgery malpractice lawyers represent patients like you who have suffered injuries due to medical mistakes during surgeries and surgical procedures. Many of these injuries are very serious, often requiring extensive medical treatment and the need for additional surgeries. When a surgical error causes a death, it can give rise to a Michigan wrongful death lawsuit. There are risks involved in every surgery and surgical procedure and not all poor results are due to medical malpractice. 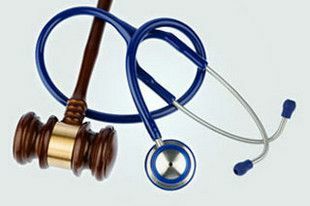 A surgery malpractice lawsuit can only be filed when there is a surgery error or mistake that caused your injury. Although these are common risks of surgery, they may also be the result of medical malpractice. Our experienced surgery medical malpractice lawyers will review your medical chart and surgery records and determine whether your injury was the result of negligent treatment or just a normal risk or complication of your procedure. If you suspect that you or a family member have been the victim of surgery malpractice, you contact our office immediately to discuss your case. There are strict time limitations for filing medical malpractice cases in Michigan and if you wait too long, your case may be barred forever. Call us now at (800) 606-1717.